Sen. Gary Peters, D-MI, has often reached out through the phone line to talk with us here on Stateside, but today he joined us in-studio to discuss petroleum coke, the Iran nuclear deal, the Export-Import Bank of the United States, and life as the only Democratic freshman in the U.S. Senate. Studies by environmental scientists find that 48217 is the most polluted zip code in the entire state of Michigan. It's the zip for the Boynton neighborhood in southwest Detroit, perched next to the Marathon Refinery, which refines tar sands oil that comes from Canada. The byproduct of that tar sands refining? Those huge piles of pet coke that appeared along the banks of the Detroit River last year before being removed. For many people who call the Boynton neighborhood home, life is about belching smoke stacks, terrible odors, worries about what chemicals they're being exposed to, and declining property values. Renee Lewis recently reported on "Life in Michigan's Dirtiest Zip Code" for Al Jazeera America, and she joined us today. Detroit Mayor Dave Bing has ordered the removal of all petroleum coke from the city's riverfront. Detroit Bulk Storage must remove the material by Aug. 27. The Associated Press reports that the storage company failed to move the pet coke by a previous deadline set by Detroit's Buildings, Safety Engineering and Environmental Department. Some Jackson employees may be laid off after a blow to the city's budget. The Michigan Court of Appeals struck down Jackson's storm water fee as an illegal tax. Michigan Radio's Steve Carmody reports that "since 2011, the city collected more than two million dollars from the fee to pay for street cleaning and leaf pick up. But without the storm water fee revenues, Mayor Martin Griffin says the city will have to cancel those city services and lay off the city employees who performed them." Oakland County is trying to protect its contributions to the Detroit Institute of Arts. There is concern that the $23 million in annual millage money from several counties may fall into Detroit's creditor's hands rather than the DIA. Michigan Radio's Sarah Cwiek reports that "Oakland County officials have threatened to revoke its portion of the millage if the DIA’s assets are diminished, or if any of that millage money ends up going to pay off the city’s debts." Christie's Appraisals, a New York-based International auction house, says it has agreed to appraise some city-owned pieces in the Detroit Institute of Arts. Emergency manager Kevyn Orr has said the art valuations are a necessary part of the debt restructuring and don't "portent a sale of any asset." A state panel will meet this afternoon to consider whether new health conditions should be covered under Michigan’s Medical Marijuana Act. A previous board already voted to allow patients suffering from post-traumatic stress disorder and Parkinson’s disease to use medical pot, but those conditions were never officially added to the list of acceptable ailments. Some advocates question whether the new board risks the same fate because it doesn’t include proper representation from the medical community. The state says it’s working to fix the make-up of the panel, Michigan Public Radio's Jake Neher reports. A round table discussion is scheduled in Detroit this morning to raise awareness of petroleum coke piled and stored along the Detroit River. U.S. Representative Gary Peters is expected to discuss his plans to ensure that such storage minimizes risk of dust and water contamination. The Bloomfield Township Democrat has introduced legislation calling for a federal study of health and environmental effects of open air storage of the material, known as pet coke, the Associated Press reports. A Michigan Senate committee has approved a plan to expand Medicaid. The bill would allow thousands more Michigan residents to receive coverage. Michigan Radio’s Jake Neher reports that the committee also approved two alternative bills that would not expand Medicaid. The proposed bills are expected to reach the Senate floor in late August. The Willow Run Bomber Plant has received an extension on its demolition deadline. Michigan Radio’s Rina Miller reports that “the trust overseeing the property gave a non-profit group two extra months to raise 8 million dollars.” The Yankee Air Museum hopes to renovate and move into the space that helped inspire the “Rosie the Riveter” character. Yesterday a hearing was held at Detroit City Hall about the storage of petroleum coke along the riverfront. Detroit Bulk Storage has been piling the substance there for months without a permit. Michigan Radio's Sarah Cwiek reports that local residents and organizations voiced their opposition to storing the pet coke in the city. 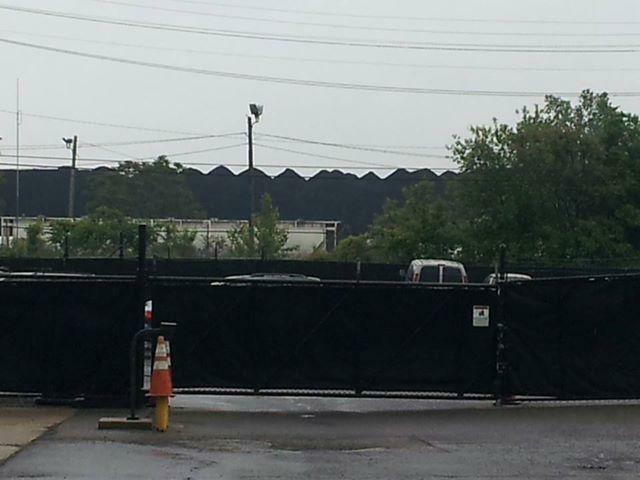 Will Detroit's pet coke piles finally get a permit? 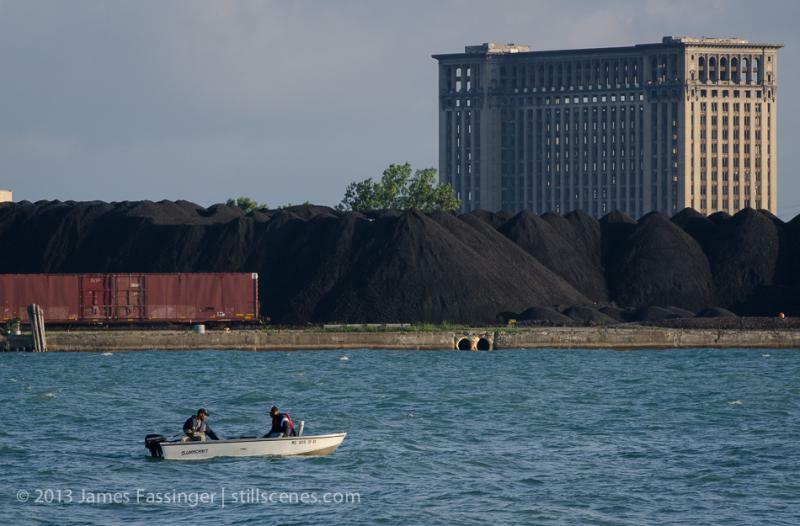 After months of operating without one, the company responsible for Detroit’s petroleum coke piles went hunting for one Tuesday. Detroit Bulk Storage representatives faced a city panel that will decide the issue. At times, panel members were highly skeptical of the company’s actions. A company representative said they didn’t know they needed a permit to openly store pet coke along the Detroit River. It’s stopped taking additional shipments of the substance — a byproduct of refining Canadian tar sands oil — until it gets one. “Our understanding was that once we were moving toward compliance, we could continue our operations,” said Detroit Bulk Storage lawyer Terri Whitehead. A Detroit Bulk Storage representative also insists the company is using “best practices” when it comes to handling the openly-stored piles safely. But the company’s quest for a permit faces stiff resistance from some residents, community groups, and other opponents. Many residents described finding pet coke dust inside their homes, and watching clouds of it move across and into the river. Detroit Bulk Storage, a company that has faced criticism for piling up petroleum coke along the Detroit River, has stopped shipments of pet coke. By now, you’ve probably heard of Detroit’s pet coke piles. They’re a byproduct of refining Canadian tar sands oil at Detroit’s Marathon refinery, and the ashen piles are definitely an eyesore on the city’s riverfront. But how much of a danger does pet coke really pose? So far, a definitive answer has proved elusive. But that hasn’t stopped a whole movement from springing up—and gaining some ground in the global fight against tar sands oil. 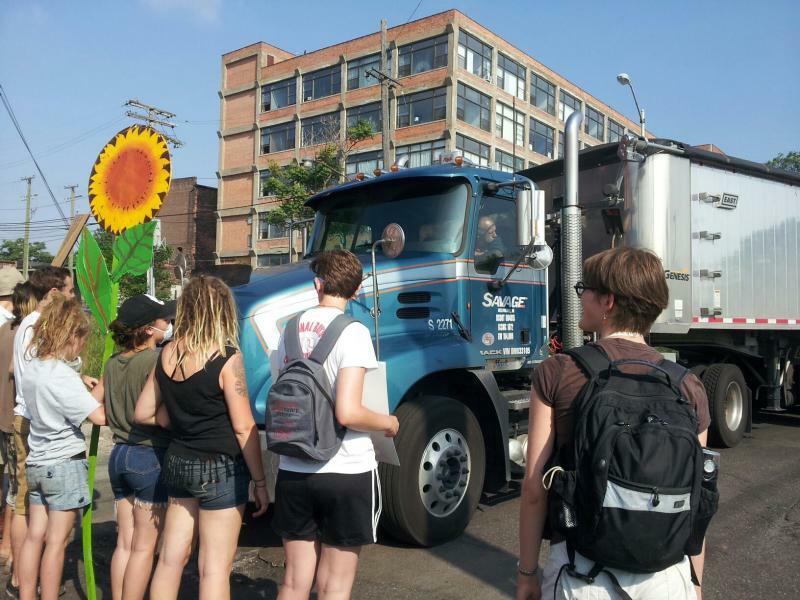 A group of protesters blocked trucks carrying petroleum coke from accessing docks on the Detroit riverfront Monday, as part of several nationwide actions against Canadian tar sands oil. An interview with Professor Nick Schroeck. That huge pile of petroleum coke lying alongside the Detroit River is triggering a growing sense of alarm. You may recall, we spoke with New York Times journalist Ian Austen about the origins of this mountain of "pet coke" that's growing in Southwest Detroit. It's a byproduct of tar sands oil refining used in energy production. When mixed with coal, it can be used as a low-cost fuel. The piles are being brought in by trucks from the Marathon Petroleum Refinery in southwest Detroit, and the pet coke is being stored by a company called Detroit Bulk Storage for the owner of the pet coke: Koch Carbon. U.S. Congressmen John Conyers and Gary Peters and others have been voicing concern about the health and environmental risks of storing these piles of pet coke. We wanted to take a closer look at these concerns. Nick Schroeck is a professor of law at Wayne State University in Detroit and the executive director of the Great Lakes Environmental Law Center, and he joined us today to discuss the issue. Detroit Emergency Manager Kevyn Orr held his first public meeting yesterday evening. We found out what Orr had to say and what city residents thought about his message. And, after months and months of hearing about record-low water levels in the Great Lakes, new predictions now show levels could climb some 2 feet over the summer. We spoke with Al Steinman, the Director of the Annis Water Resources Institute at Grand Valley State University to get the details. Also, the CEO of AutoBike, Inc. joined us today to talk about how bicycle businesses have benefited from the growing interest in cycling. First on the show, that huge pile of petroleum coke lying alongside the Detroit River is triggering a growing sense of alarm. You may recall, we spoke with New York Times journalist Ian Austen here on Stateside about the origins of this mountain of "pet coke" that's growing in Southwest Detroit. It's a byproduct of tar sands oil refining used in energy production. When mixed with coal, it can be used as a low-cost fuel. The piles are being brought-in by trucks from the Marathon Petroleum Refinery in southwest Detroit, and the pet coke is being stored by a company called Detroit Bulk Storage for the OWNER of the pet coke: Koch Carbon. US Congressmen John Conyers and Gary Peters and others have been voicing concern about the health and environmental risks of storing these piles of pet coke. Nick Shroke is a professor of law at Wayne State University in Detroit and the executive director of the Great Lakes Environmental Law Center, and he joined us today to discuss the issue. Residents and business owners in Detroit are worried--and outraged--about petroleum coke piles growing on the city’s riverfront. That byproduct of the oil refining process is being dumped in massive piles—now several blocks long and building stories high--along the Detroit River. It’s stored in the open, and wasn’t approved through any permitting process. The U.S. House voted Wednesday to sidestep President Obama, and authorize the first leg of a controversial pipeline project carrying tar sands oil to the US from Canada. There's a three story pile of black petroleum coke big enough to cover an entire city block piling up in Southwest Detroit. It's a by-product of oil sands drilling from Alberta, Canada. On today's show: we asked why is this high-sulfur, high-carbon waste piling up along the Detroit River? And, the Board of State Canvassers met today in Lansing. 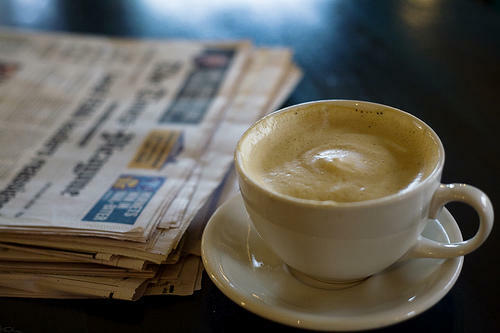 We got an update on ballot initiatives that you could be voting on. DETROIT (AP) - Tests by the Michigan Department of Environmental Quality have found that hulking black mounds along the banks of the Detroit River in southwest Detroit don't pose a threat to human health. 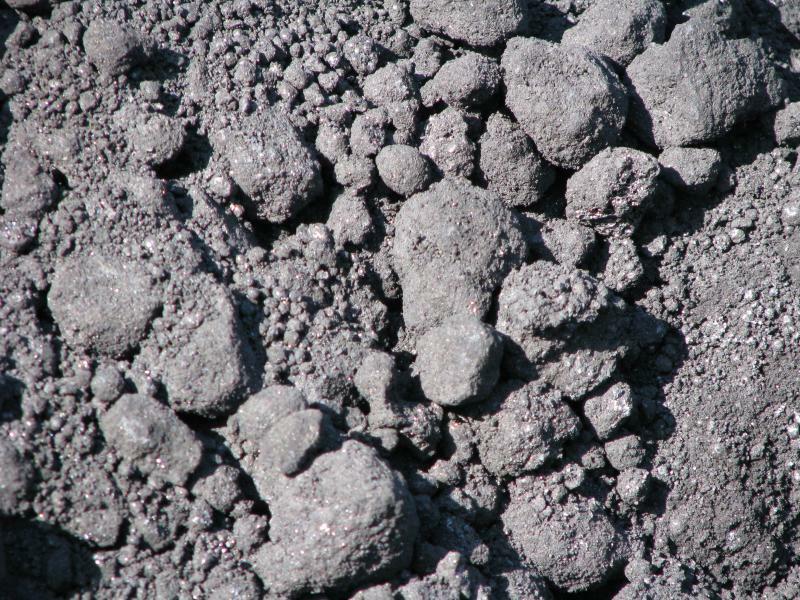 The petroleum coke, or pet coke, mounds are a byproduct of oil refining used in energy production. The material has been brought by trucks from the nearby Marathon Petroleum Co. refinery, and the mounds drew attention starting earlier this year. The Detroit News reported the MDEQ's findings Friday. Area residents, the Canadian government and U.S. lawmakers are among those concerned about potential pollution and health effects. Findlay, Ohio-based Marathon Petroleum says the pet coke stored along the Detroit River is no longer owned by the company. If stored properly, however, Marathon says pet coke poses no environmental concerns.